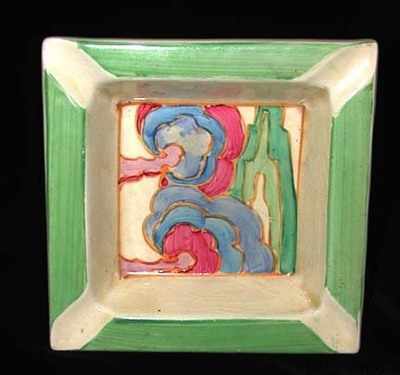 Ashtray by Clarice Cliff in the Oasis pattern. Size 5 inches wide. Excellent condition. No damage or restoration. slight fading to part of the blue. Signed "Bizarre by Clarice Cliff".